The C130 sneeze guards are stylish and practical. 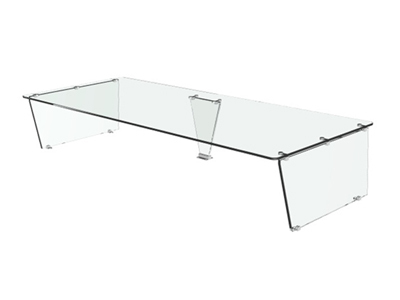 This style has flat shield made from 3/8" Clear or Crystal Clear safety tempered glass. The shield is supported 13" off the counter surface. The bay size can be as small as 24" or as large as 60", and it is possible to connect multiple bays together. This style sneeze guard can be made in custom shapes to match contoured counters. The C130 sneeze guards have six standard supports styles made from 1/2" Clear or Crystal Clear safety glass. The Extended and Adj-Closed supports are used on the ends.